Airbnb said Thursday that hosts in Cuba will list over 1,000 of their homes on the apartment sharing website. The move comes after President Obama in December announced a historic shift in U.S. policy toward Cuba, allowing for some travel and trade to the Communist island after 50 years of isolation. "We couldn't be more excited that, starting today, licensed U.S. travelers will now be able to experience the unique culture and warm hospitality that makes the island so special through our new Cuban community," said Airbnb co-founder Nathan Blecharczyk. While it's now easier for Americans to travel to Cuba and do business there, the more liberal travel restrictions don't allow for tourism in the traditional sense. Americans still need to obtain a license to visit Cuba for business, school or 12 other reasons spelled out by the U.S. government. Currently, the service is only open to licensed U.S. travelers, though Airbnb said it will seek authorization to expand the service to travelers from other countries. "I think there's a lot of potential," Blecharczyk told CNN's Samuel Burke. "It's been off limits for the past 50 years, so I think there's a lot of pent-up interest to experience Cuban culture." Blecharczyk added that Cuba's proximity in the Caribbean makes it a prime destination for U.S. travelers. 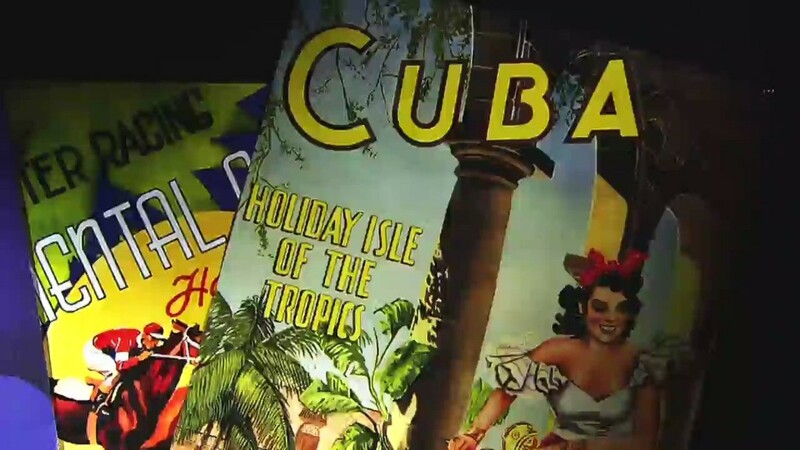 "Cuba is within that sweet spot where Americans would like to venture," he said. Marta is a new Airbnb host in Havana. 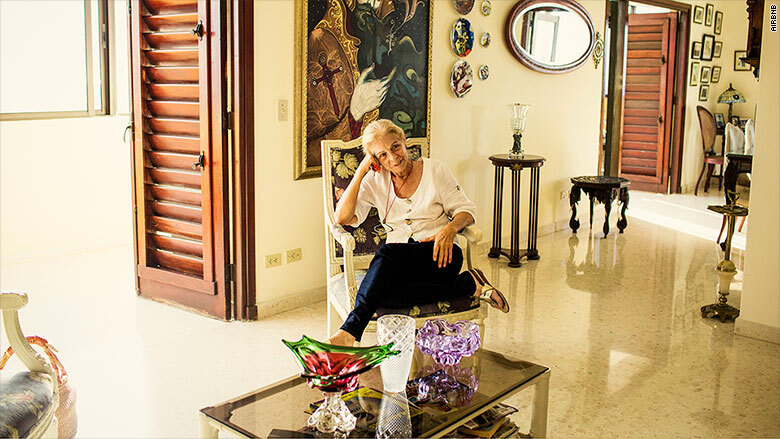 Airbnb is one of a growing number of U.S. businesses to establish a foothold in Cuba. Netflix (NFLX) said last month that it would offer streaming service to the relatively few Cubans who have access to the internet. American Expres (AXP)s and MasterCard (MA) both allow customers to use their credit cards in Cuba. Major U.S. airlines have also expressed interest in flying to the island, including JetBlue (JBLU), Delta (DAL) and United (UAL). Israel, a new Airbnb host in Havana. Airbnb said about 40% of its listings in Cuba are located in Havana, with the rest in cities such as Matanzas, Cienfuegos, and Santa Clara. The company is expecting strong demand for accommodations. It said searches for listings in Cuba by U.S. users surged 70% after travel restrictions were eased in December. Airbnb has been recruiting hosts in Cuba for three months and plans to expand into other cities in the coming months. 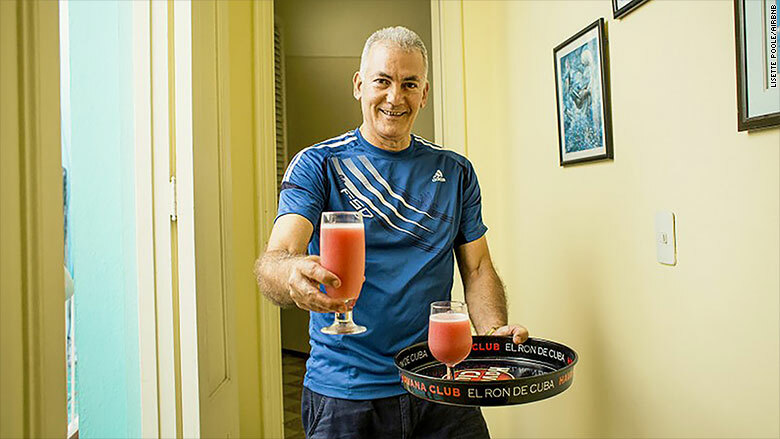 The Cuban people are known for their hospitality. The island has an existing network of "Casas particulares," or private homestays, which form the bulk of Airbnb hosts. However, internet access in Cuba is still heavily restricted by the government and not widely available. Airbnb said some of its hosts are working with partners to manage their online bookings. The Associated Press reported the development earlier Thursday.